Home>New Songs>Flatline Nizzy Songs> Wiz Khalifa & M. Tomlin Join Flatline Nizzy On "Favorite"
HNHH PREMIERE! 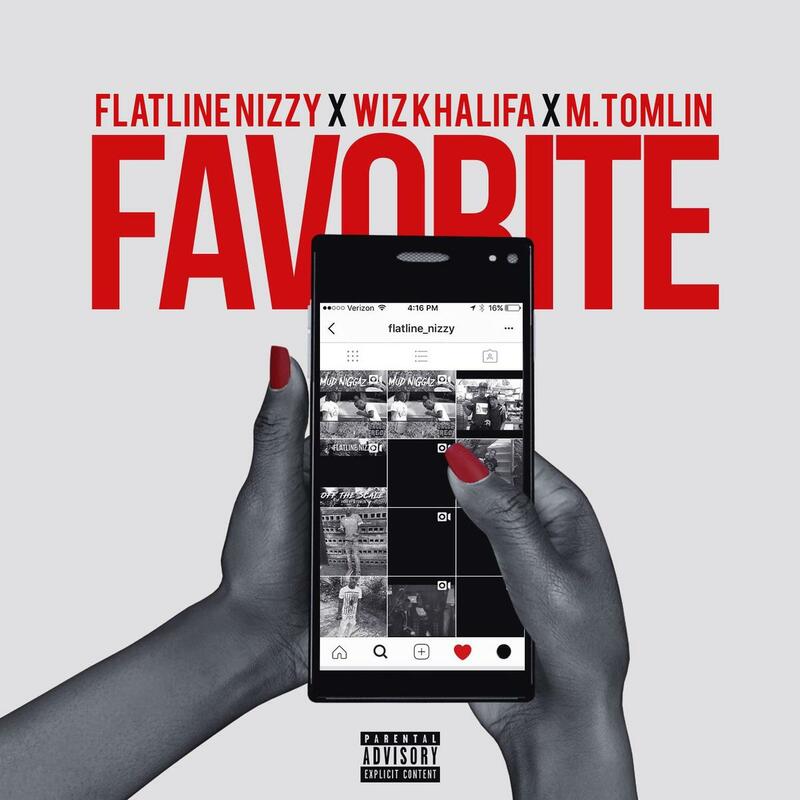 Flatline Nizzy grabs Wiz Khalifa and M. Tomlin for "Favorite." DJ Afterthought and Riff Raff recently launched their new record label together, Catalyst Collective. One of their new signee's is Flatline Nizzy. He's been making some noise throughout Pittsburgh and received co-signs from some major artists in the city. Today, he comes through with his new single, "Favorite" featuring Wiz Khalifa and M. Tomlin for an HNHH Premiere. Flatline Nizzy gets an assist from Wiz Khalifa and M. Tomlin for his new track, "Favorite." The song has a perfect vibe for the summer and will definitely be a necessary track for those hot summer days on the beach. The song samples Pharrell and Snoop Dogg's single, "Beautiful." M. Tomlin handles the hook and the production on the track. DJ Afterthought praised Nizzy in an exclusive quote to HNHH. "Flatline Nizzy is Pittsburghs next rising star. With co signs from some of the biggest names in Pittsburgh and throughout industry he teams up with superstar Wiz Khalifa to bring you this summer hit. Production and smooth hook comes from M Tomlin another rising star from Pittsburgh." Afterthought said. Keep your eyes peeled for more music from Catayst Collective. They have a series of releases that's expected to drop over the next few months with a lot of artists. KYLE Links Up With McDonald's, Sprite & Joe FreshGoods For "That's The Mix"
SONGS Wiz Khalifa & M. Tomlin Join Flatline Nizzy On "Favorite"